Window displays are an art – there are a several shops in town whose displays I often admire. They change with regularity (every few weeks, or every few months) and often combine unique props with their own store goods. They have a theme that’s usually seasonal or event-related. And they’re always beautiful to look at. 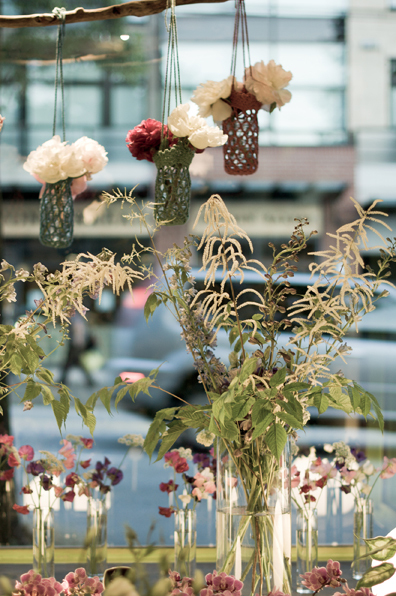 There’s a lovely flower shop in Kits called Garden Party. I could hardly wait to get down there last week to see Lisa’s window display. 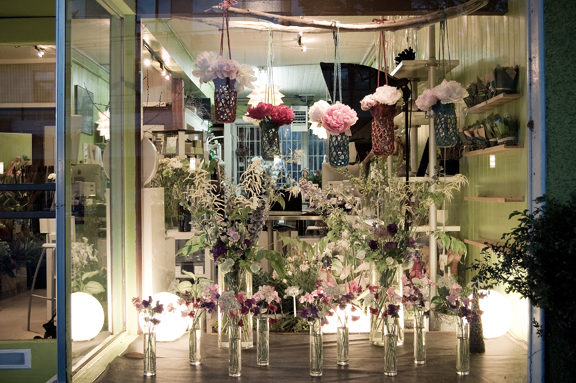 I contributed the crocheted vase holders that Lisa paired with the shop’s amazing flowers. 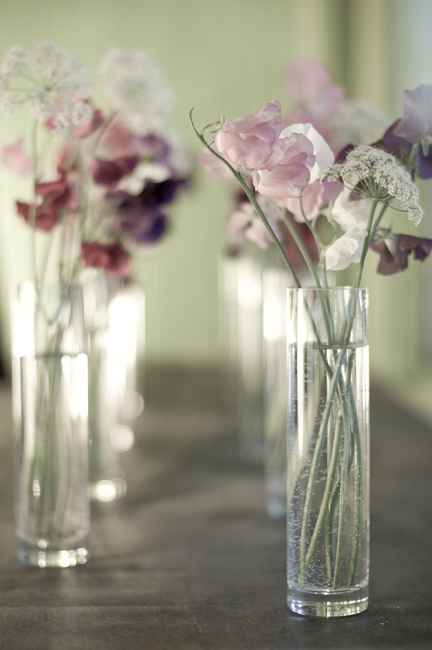 Peonies and sweet peas just happen to be two of my favourites, and I love the light and summery feel of the whole display. Despite bringing a polarizing filter for my camera lens, it was tough to shoot through the windows…until twilight. Which seems appropriate, since there’s a bit of a Midsummer Night’s Dream thing going on. I love it, and I love that crochet and flowers are together at long last!